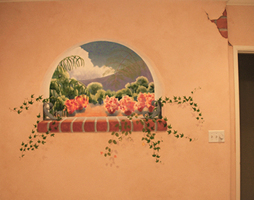 The room in which these murals were painted was a newly remodeled family room which opened out to a spacious garden patio behind a wonderful older spanish style home. 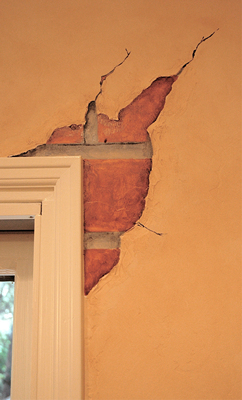 The challenge was to give the room visual space as well as the mature feeling of the rest of the home. 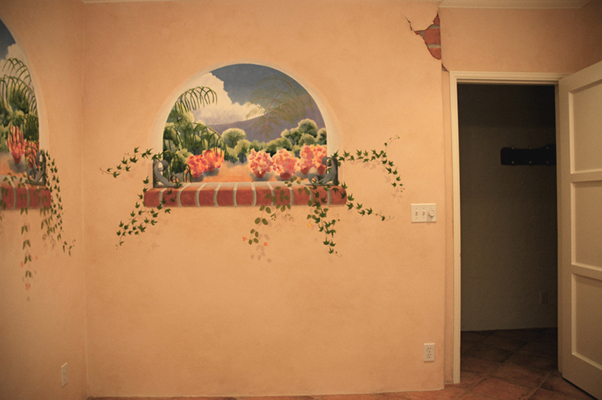 The first step was to soften and 'age the walls with a subtle faux finish. 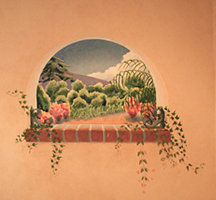 Then the 'windows' were added bringing the patio into the room and providing views out to a surrounding countryside. 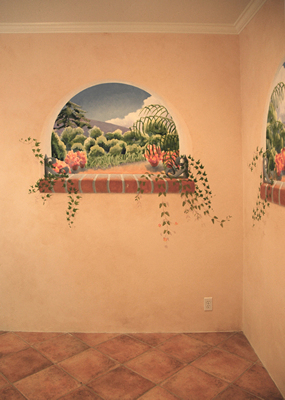 Additional painted features such as the exposed brick which mimicked the patio brick, also duplicated in the murals, gave the new room the desired feeling of openness and belonging as well as a unique and quite enjoyable character.